Are 2018's Top 10 Fastest Growing Online Jobs the Future of Work? Remote work is on the rise, and if you’re considering a leap into the pool of millions of other Americans, it’s best to know which jobs are in demand. Online jobs that let you work remotely can feel especially tempting. If you’re keen on a change of career in 2019, then new data from the freelancer crowdsourcing marketplace Freelancer.com might help you decide. Freelancer.com has collated data from its nearly 2 million job postings to reveal the fastest growing online jobs over the past year. Content and writing, blockchain and e-commerce-related jobs were among the fastest growing areas of the global online freelance labor market in 2018. But is this good news or bad for those looking for their next calling? Well, that depends on whether you’re the glass-half-full or glass-half-empty sort. We explain why these remote-working fields may prove to be mixed opportunities. Here’s the full list of last year’s remote jobs with the most potential for demand to keep growing in 2019. Insanely, the popularity of remote writing jobs in 2018 was up exactly 535.67% over 2017. Online writers are, apparently, in high demand. Academic writing and blog writing also both made the list, cementing word-wrangling as by far the most useful skill for remote workers. Granted, not everything on this list will indicate what the best remote work careers will be in the upcoming year. Blockchain, for instance, has proven to be a bit of a tech bubble, and likely isn’t a great industry to jump into cold – you’ll need to have a strong background in the complex subject. One trend seems to make sense – it looks like website-building skills, from web architecture to content production, are increasingly being outsourced to one-off remote gig work, as more businesses start building or revamping their websites. The top skills in 2018, according to Freelancer.com, were slightly different to the top remote jobs that were listed. And that’s good news for anyone considering a career change. Indeed, the skills list constitutes aspirational yet attainable traits that any budding worker (remote or in-house) would find valuable to know. The list includes data entry, Excel, and graphic design among the top three, with Photoshop, editing, and HTML also making the top ten. But, is a life of online gig work actually something to aspire to? The pros are pretty easy to pick out. You’d be dramatically increasing your flexibility, able to work from home or from coffee shops. You’d be your own boss, with no office politics, tedious meetings or commuting times whatsoever. And, you’d be location independent, which can be a boon for income inequality concerns. 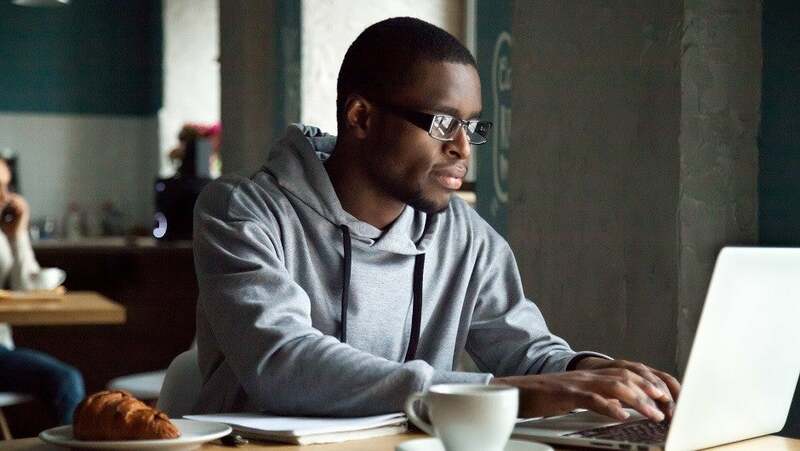 Job search site FlexJobs recently released its own list, covering the top 100 companies hiring remote workers in 2019. The list contained everyone from Amazon to Intuit to Aetna to Pearson to dozens more you might not be familiar with. The bottom line? There are a lot of opportunities, which is a sign of a healthy playing field. But why is the remote work field growing so much? The shift away from in-person nine-to-fives might also be a sign of how unhealthy the stable job field increasingly is. Proper salaries, strong health benefits, and great 401ks are tough to come by in the world of remote work. They’re essentially non-existent in the job-to-job gig economy. America’s bootstrapping ethos is a part of the culture, but has been getting a little too extreme in some gig-work circles, as Fiverr’s much maligned 2017 “You might be a doer” ad campaign indicated. Catchphrases in the ads claimed that true doers’ drug of choice is sleep deprivation, and that they should eat a coffee for lunch. The gig economy “Celebrates Working Yourself to Death,” one New Yorker article on the subject proclaimed. Earlier this month, a Buzzfeed article on millennial burnout made the rounds, detailing how societal expectations combined with a slumping economy are driving an entire generation into anxious messes. If the uptick in remote work is simply due to a drop in more stable careers, it might not be a solution millennials are looking for. Still, remote work is increasing. If you’re in it for the long haul, the best practices are to find a niche, get repeat customers as quickly as possible, and try to know your worth so that you can raise your rates to match. Or, maybe get into writing. It seems to be doing well.